Imperfect Interiors is a small design firm specialising in mixing traditional styles with mid-century and vintage pieces. I particularly enjoy working on whole house renovations- from the very early stages of planning the spaces to the final stages of styling the rooms. I work alongside a team of trusted builders, decorators and architects to ensure that my clients are able to enjoy the process and are happy with the end results. My background in fashion and styling will give your house the edge, and make it worthy of its own glossy magazine spread. Hampstead Design Hub is an Interior Design Studio with a comprehensive range of specialists, in-house and contractors on hand to implement your plans and provide a complete, bespoke service. We cover each and every aspect of your project - from initial consultation to luxury design concept to implementation. Talented interior designers, creative architects, reliable developers all brought together under one roof. We always combine beauty with functionality, and we take on projects big or small - get in touch or visit our studio in Hampstead to get your project started. We also provide a special service online – interior design concepts and packages wherever you are and no matter what budget you have. It’s a great alternative to the usual way of hiring an interior designer with full range of services, as whole e-design process is done remotely via email. For more information please check our website. Our interior design service helps people to live better through interior architecture that solves problems, anticipates their needs and creates a home that works for them. Our service is tailored to individual expectations. We take the fear and overwhelm, that most clients feel when researching for their project, and inspire them with confidence that their project will be taken through from initial inspiration to a completely finished home. Our interior design and project coordination service leaves our clients relaxed and excited about their finished home by keeping them up to date without being responsible for the day to day running of the project. Helping to solve problems has always been a core of our service, whether is be how to rearrange a floor plan to include a third bathroom or coordinating with contractors over the delivery schedule - our design service will provide you not only with the best possible design for you but also knowledge that the project will be executed according to plan no matter how busy your schedule becomes or where you are in the world. Kia Designs is an award winning international Interior Design company based in London which specialises in creating stunning, personalised residential interiors. Send us an e-mail and we will get back to you within 24 hours to arrange your first consultation where we will be able to discuss ideas for your home, finance allocation and timelines. Born & Bred Studio offers contemporary bespoke interior design…with the focus more on HOME rather than house. Making it an accessible and a collaborative process. We also offer e-interiors for Children's interiors starting from £79. INTERIOR DESIGN FOR LITTLE PEOPLE & CREATIVE FAMILIES. MAKING SPACE FOR YOU. Kitchen & Interior Design Consultancy specialising in small to mid-sized developments and high end residential interiors. We often work alongside architects and interior designers creating a kitchen, utility and any other joinery that suits the brief and budget. We pride ourselves on providing a personable and professional service from initial enquiry through to final installation and after sales. Modern interiors for modern homes. We bring precision, beauty and understated luxury to modern residential interiors. Established in 2013, Black & Milk is led by Olga and Toly, a husband and wife team. We pride ourselves on our ability to listen and understand your needs, bringing fresh ideas and new designers to each project, ensuring a result that perfectly fits your space and lifestyle. We take a bespoke approach to every project we work on. We listen to your needs and design for you. This means a new design scheme and new designers for every project. What we offer: • We bring precision and creativity to every project. Our designers understand the importance of balancing space planning with creativity. The result is a solution that is not only designed specifically to your needs, but the need of the building. • We take project planning seriously and will work with you to ensure your project is meticulously planned and delivered flawlessly. • We frequently source and design bespoke furniture for our projects. We’ll work with you to find the perfect match for your needs. From period rennovations in treasured locations, to breathing new life into busy office spaces, I am always creating inspiring new interiors. One of my favourite things about my business is discovering new (and not so new) materials and techniques, and connecting my clients with something truly inspiring, made just for them. That's why I'm always making new connections, and refusing to give up until we have achieved the look we want. Working mostly in and around London (for now), I continue to seek new inspiration from around the world, and by looking back through the history of design. My practical approach to refurbishment and design has manifested as a passion for helping clients attain functional and beautiful homes that characterise their lifestyle. I believe that professional interior design services should be attainable - my design principles are founded on flexibility and focused on finding common-sense solutions and supporting projects from start to completion with honest industry advice. My ethos is to create designs that feel like they have been there for a long time but still feel contemporary - my interiors evolve from functional layouts combined with natural materials and textures - and crucially, the personalities of my clients. We love what we do here at Slightly Quirky. We love the people we work with, clients and colleagues. We are passionate about the homes we work with and the people who live in them. This isn't just a job for us, we never switch off! We're always hunting out the perfect piece, the next design trend or simply gathering inspiration for our next project. Our projects, be it a whole house or 1 room, are always unique. We don't replicate 'a look’, we prefer to introduce new ideas to every project. We love the idea of mixing different styles, brought together in a cohesive design... not to mention the odd slightly quirky touch! This is what sets us apart - mixing old and new, making a space interesting and, most of all, usable and enjoyable. 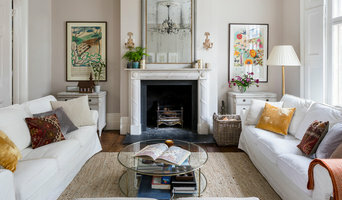 Best of Houzz 2019 design and service, INTO interior design is based in Fulham, South West London, SW6, UK. We specialise in residential projects and undertake all aspects of renovations be it a full internal refurbishment or simply restyling a room or two, advising on colours, fabrics, flooring and furnishings. We collaborate with architects, builders, bespoke joinery companies, curtain makers, etc and every stage of interior design is considered with meticulous attention to detail. INTO interior design was founded by Sybille Garnier Le Mené. Sybille's philosophy is to create beautiful living spaces that truly reflect the personality, tastes and requirements of her clients, suggesting creative and practical design solutions. She firmly believes that the design process should be an enjoyable experience. After working for many years as a TV newsreader and reporter in France, Sybille moved to London in 2006. Passionate about interior design, she graduated with honours from KLC School of Design in 2009, one of the UK's leading interior design schools, and launched INTO. 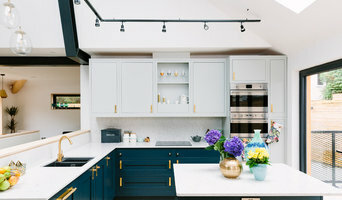 Lisette Voûte designs is a London-based full service bespoke interior design studio, offering interior design and interior architecture services Lisette Voûte Designs seeks to bring charm, timelessness and understated sophistication to each detail and room. The company offers a personal, professional and reliable service that will deliver high quality interior design to suit clients’ tastes, timelines and budget. Lisette Voûte's timeless yet fresh interiors and interior architecture seamlessly combine elegant classic taste with a contemporary spin, creating inviting and comfortable spaces. The London based designer's work is characterised by a relaxed approach to formal settings. Lisette received first-class honours, graduating top in her class, from the University of Bristol, before progressing on a successful commercial career at Morgan Stanley and General Atlantic, which instilled a deep work ethic, commercial understanding and eye for detail. She pursued interior design informally for friends and family for 10 years before establishing her business. Mia works with clients seeking design input on small projects as well as major refurbishments and extensions, passing on design understanding and skills required to get results that are otherwise impossible. Mia’s Swedish influence comes through in her simple, functional and natural solutions and is complemented by many years’ experience in London to encompass traditional, elegant and modern approaches. Mia is a first class degree BA (hons) Interior Design and Technology graduate and has worked as part of large and small design teams. A wide range of design commissions and operational expertise within a variety of workplaces has provided a valuable perspective that encompasses design excellence with practical solutions. We design what's right for you and your property. Whether you have a new property to design, a property that needs renovating, we offer a seamless service of creative Interior architecture and interior designs. Finding the perfect design for you - always what you never would have thought of....and will love forever! Priceless! Practical problem solving too - we work with you to design, through to build instruction, management and fit out – designing and supplying everything you need. Luxurious interiors with a huge dose of practicality! We solve the problems, create unique features you'll adore. Improving your home is very exciting, but also can be stressful! We provide a simple, stress free process of making the right design decisions for you and your home...creating the space you've dreamed of! (Listen to our client testimonials on our website) Put simply, Deborah Law Interiors offer a quality one-stop residential design and installation service for clients across Berkshire, Surrey, Hampshire, and London. I will come and visit you at no obligation to discuss your needs and look forward to meeting you soon. What is the difference between interior designers and interior decorators? Both Uxbridge, Greater London, UK interior professionals are closely related and often mistaken for the same thing, however, there are some significant differences you should be aware of before hiring. An interior designer, also known as an interiors architect, will not only hone your style down to its very essence but will be able to choose a functional layout. All Uxbridge, Greater London, UK interiors designers require specific schooling and formal training. They use their specialised knowledge of interior architecture, building regulations, materials, and furnishings to help you arrive at your dream home design. Interior design companies can come on board during the early stages of construction to plan spaces and room functions down to the last detail, and can help design and renovate interiors and decorate. On the other hand, an interior decorator will typically be involved with the “look and feel” of a space, and won’t be able to assist in renovations that require structural work. Interior decorators in Uxbridge, Greater London, UK normally come on board after all structural work is complete. Why should I hire an interior designer or decorator in Uxbridge, Greater London, UK? Everybody wants to a home that reflects their personality, though some of us are just too preoccupied with a career and/or family to think about colour schemes, wallpaper, flooring, and lighting. A Uxbridge, Greater London, UK professional interior designer can save you bags of time, stress and months. 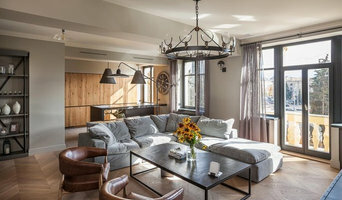 Residential interior designers and decorators in Uxbridge, Greater London, UK understand the latest trends, have a good sense of layout and functionality. They can also save you money by sourcing products via trade contacts or offer affordable alternatives to blowout iconic designs. How do I choose the right interior designer in Uxbridge, Greater London, UK for my home? Every Indian home is unique in its style and can be an inspiration to define your own style. You start by looking at images and work of different interior designers and decorators in Uxbridge, Greater London, UK. Save the pictures and details of the professionals who match your taste.There are plenty of interior design companies and interior designers who can help you turn your living room into mix-and-match lounge oozing an eclectic style, or turn a pale and interesting minimalist bedroom with shots of colour, or a beautiful space inspired by Scandinavian design. Pick an interior designer in Uxbridge, Greater London, UK who has completed work similar to the look and feel that you desire. Be sure to discuss your needs, ideas, constraints, and budget early on. Some interior companies are design only, while others can oversee the whole project. If it is the latter that you seek, make sure all subcontractors used are well experienced and accredited. What are some of the important questions to ask Uxbridge, Greater London, UK interior designers or interior decorators? What professional interior design qualifications do you have? What will be your level of involvement in the project? Are you design-only or do you offer project management too? Will I be able to see materials samples as well as illustrations and a schedule of work at the outset? Have any of your previous interior design projects involved making structural alterations to an existing property? Which sub-contractors do you intend to use and why? Can I see examples of their previous work? How often will we be meeting to discuss progress and how many site inspections will you carry out? When will the home renovation/design be done? Find an interior designer or home decorator on Houzz. Narrow your search in the Find Pros section to find Uxbridge, Greater London, UK interior designers & decorators. You can also look through photos to find a room you like, then contact the interior design firm who designed it.